Turn the heads with your exclusive saree selection. Drape this designer Kota tissue saree richly designed with paisley motifs in gold kasab pittan work and contrast green embroidery. 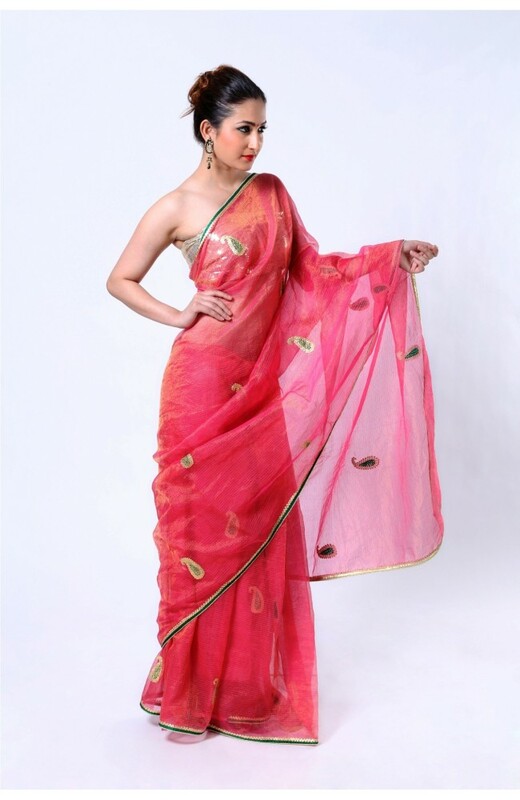 The green pipin on the edge also creates a lovely contrast for the coral pink shade of the saree. With a matching blouse, this designer saree is perfect to leave the lasting impression.